Last month in San Jose, eight very talented young women were chosen to represent the United States in Rio de Janeiro for Women’s Gymnastics. After the Olympic Trials, five women were selected as main members for the team, while three were selected as alternates in the event a primary team member becomes ill or injured. Hailing from different regions of the U.S., these eight individuals make up the most diverse group of women in the history of Women’s Gymnastics. 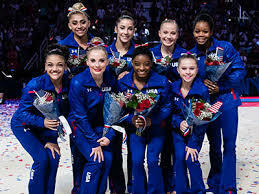 Including the three alternates, Team USA consists of two African American women, one Native American, and one Latina. One member of the team is Jewish while another member attends the Church of the Latter Day Saints. This year we welcome back Aly Raisman and Gabrielle Douglas. Ms. Douglas and and Ms. Raisman will be the first gymnasts to make a second appearance in the Olympics since Amy Chow and Dominique Dawes did so in the Sydney, Australia games in 2000. Ms. Douglas and Ms. Raisman also helped the US team win a team gold medal. This was the first since 1996. Ms. Douglas made history by becoming the first African American woman to win the All Around competition during the 2012 Olympics. This year, however, Ms. Douglas’ performance during the Trials was less than stellar. She fell off the balance beam during her routines on both nights, and her performance during the floor exercise lacked polish. No matter what is said about the Trials, there is no doubt that Ms. Douglas and her teammates are champions. Let’s talk about the team. 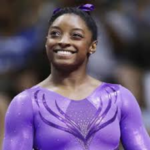 Simone has won four consecutive national championships and three consecutive world championships. 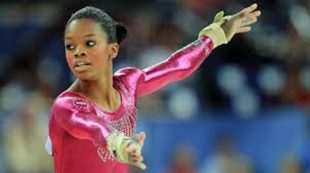 Because of these accomplishments she is considered to be the most “decorated” gymnast in the world. She is highly favored to bring home many medals from Rio. Simone was born in Columbus, Ohio. Ms. Biles is one of four children. Adopted by her grandfather and his wife, Ms. Biles currently lives in Spring, Texas. She is the reigning 2012 All-Around Olympic champion, Gaby is also known for being able to perform well under pressure. After the London games, Ms. Douglas took a nine-month hiatus from competitive gymnastics and resumed training in May 2013. Ms. Douglas was born in Virginia Beach, Virginia and currently lives in Los Angeles, California. Ms. Kocian has performed as a gymnast since she was six years old. Her style of gymnastics is eloquent, and her execution is close to flawless. Ms. Kocian is a 2015 World Champion on the uneven bars and she will compete in all four events on Sunday August 7th in Rio de Janeiro. Ms. Kocian will attend UCLA next year. Ms. Kocian was born in Dallas, Texas where she continues to reside and train. Hailing from New Brunswick New Jersey, Ms. Hernandez is of Puerto Rican descent. At just 16 years old, the Olympics will be her first major international competition. Ms. Hernandez currently lives in Old Bridge, New Jersey with her parents and two siblings. 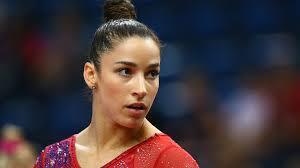 Ms. Raisman is the oldest of four children and at 22 years old, is the oldest member of Team USA. A powerhouse, Ms. Raisman is a 3-time Olympic Medalist, an Olympic Team Captain, a 2-time World Champion, and she has earned four world medals. Ms. Raisman was born and continues to live in Massachusetts. When not competing, she attends Babson College in Wesleyan, Massachusetts. Born in Mesa, Arizona, Mykayla is also known as “Mikki”. Ms. Skinner’s routines are known for their high levels of difficulty. A member of The Church of Jesus Christ of Latter-day Saints, Ms. Skinner will attend the University of Utah in September, 2016. She currently resides in Gilber, Arizona. Small in stature like the champion, Olga Korbut, Ms. Smith stands at just 4’ 6”. The youngest team member, Ms. Smith will turn 16 after the start of the Olympic Games. She was born in Dacula, Georgia, and currently lives in Lewisville, Texas. Ms. Locklear is a fierce and compassionate competitor. 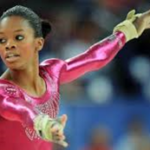 During the Olympic trials, she struggled to hold back tears after falling of the balance beam. Her work on the uneven bars is impeccable. A member of the Lumbee Tribe, Ms. Locklear is proud of her Native American Heritage. She was born in North Carolina where she currently resides. We wish Team USA all the best. School Psychologist and School Administrator by day. Wife and mother of two teens at night.